We are up to day 3 of this week long blog feature with Authentique and Hampton Art. 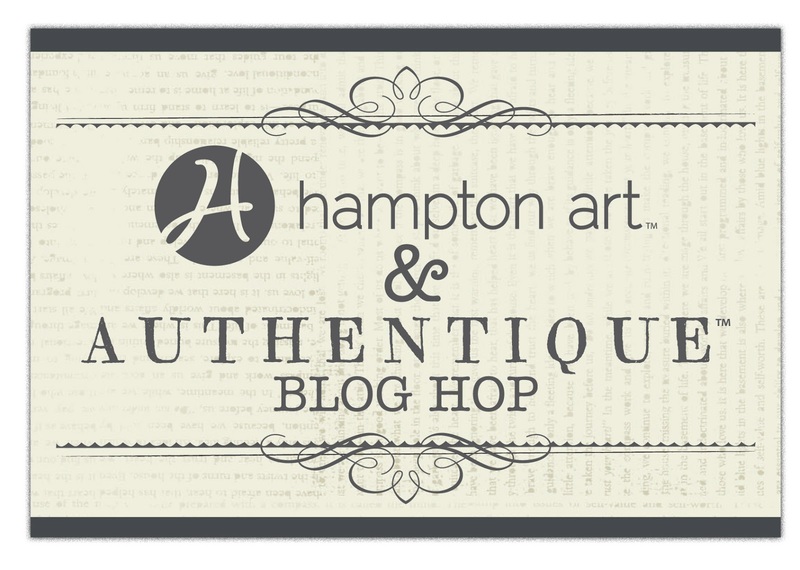 Today our Design Team member, Gini Williams Cagle shares another card she created featuring the Hampton Art Licensed Authentique stamps. what an elegant romantic card. Gorgeous card! I really like the colors and that sentiment! This is lovely! The embossing is gorgeous! 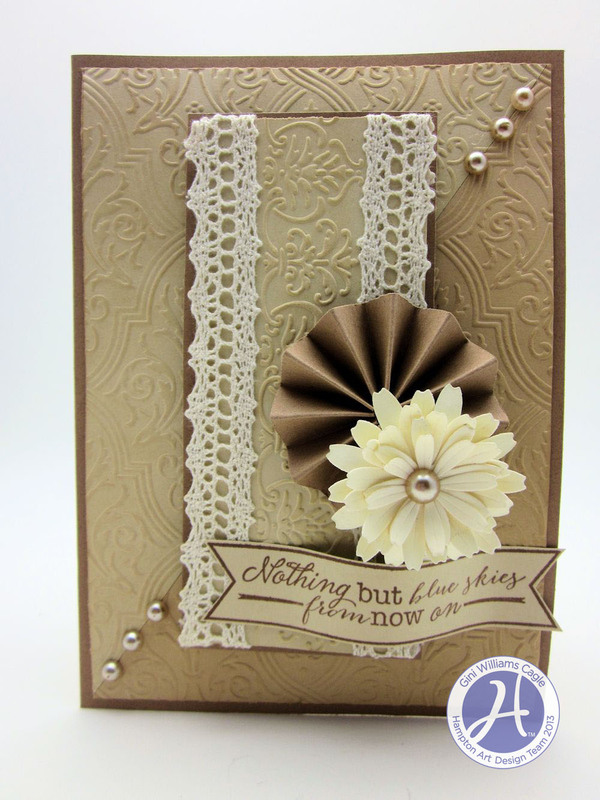 luv the neutrals and rosette flowers...sweet card! 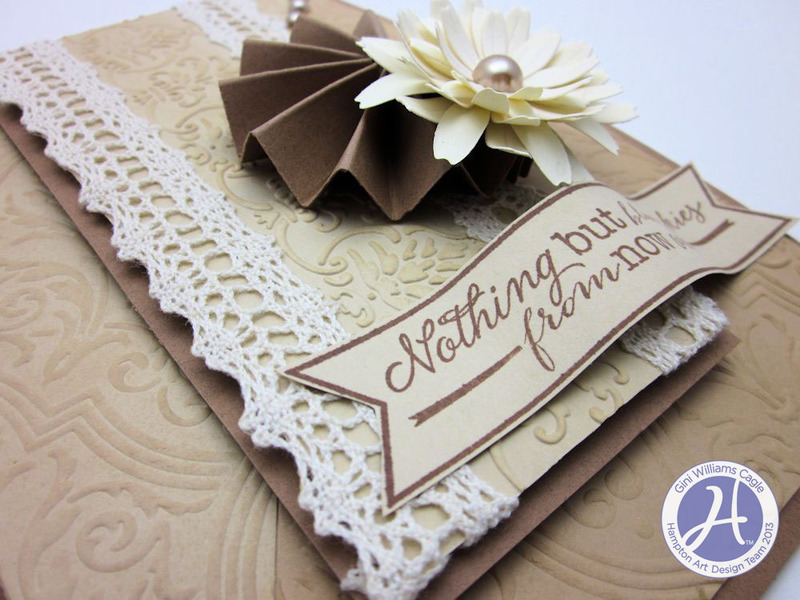 Love the tone on tone colors with that wonderful embossing and the sentiment is great. Nice job. Beautiful card. So elegant. Love the creams and browns paired up..
What a stunning card it's so sharp the embossing is just fantastic :) love it !!! The embossing looks so pretty. I just love the look. That is a very pretty card. I like the neutral color scheme. So very pretty, love the sentiment and how elegant it all looks. Love this vintage looking card and that fun sentiment!! Such a *sweet* card to give a loved one after a rough time...the sentiment is encouraging. Oh My this card is stunning! the embossing is beautiful! This is so feminine! Love the lace, embossing and flowers with the center pearls. Gorgeous card! Love all the texture and dimension!